Google+ is getting better and better everyday. Recently it added a Facebook Fan Page like feature where Google+ user can create such page for their businesses and let the other users add that page in their circles. It is like promoting a brand and then serving the followers with latest updates, offers etc. through that business page on Google+. But again it is not that simple and straight for Google+ team to avoid the biggest enemy in social media i.e. Fake Profiles. 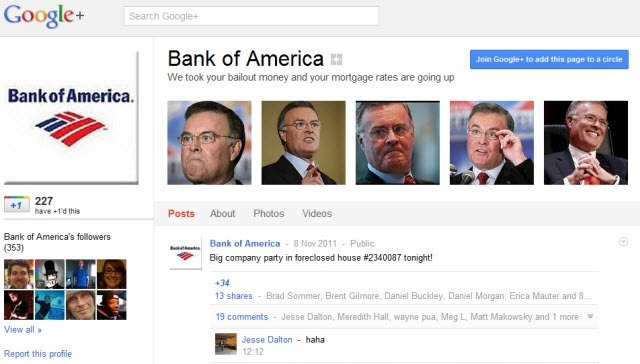 Google+ initiative is facing that challenge as you may see fake Google+ page of biggies like Bank of America and many others. Google is working really hard to remove such fake business pages but it is not a simple task. Google is providing the “Verified Pages” badge to the verified businesses. 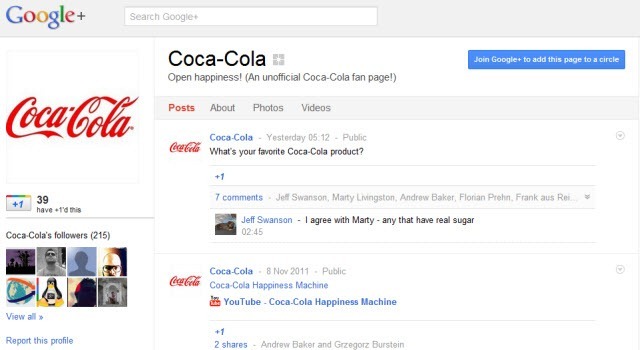 For example, they added the verified symbol on Google+ page of Pepsi, Toyota etc. It is an ongoing process which may take time . 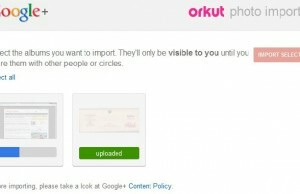 But till then, you may see lot many fake Google+ pages for businesses. You can also find lot many fake Google+ business pages for Indian companies like Infosys. One can create a Google+ page for any business house as there is no verification process involved. You just need to accept the terms and condition by Google to do so. It is clearly written in Google+ TOS that one may create a Google+ page for any business but to administer that, one needs authority. Here is an excerpt from Google+ Page Terms. 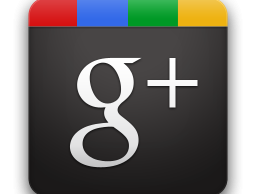 Subject to the Google+ Pages Terms, any Google+ user may create a Google+ Page, but only users with authority over the subject matter may administer the Google+ Page. If you authorize someone else to administer your Google+ Page, you are responsible for their actions. Google+ page Term violation may cause the termination of entire Google Account. Here is an excerpt from TOS about the Google+ Page term violation. Google reserves the right to block or remove Google+ Pages that violate law, third party rights, the Google+ Pages Terms or if you are using Google+ Pages to violate or circumvent terms or policies for other Google products or services. Repeated violations of Google+ Pages Terms, may cause your Google+ account to be suspended or your entire Google account to be terminated, depending on the seriousness of the violation. Google may, without notice, remove your Google+ Pages if they are dormant for more than nine months. But still there are lots of fake Google+ pages for businesses around. The main concern is that when you will start tagging certain business houses in your updates by adding (+) symbol on status box, the fake page may appear as an option and you may divert your followers to the wrong page. People are creating fake Google+ pages for businesses and if they are investing their time and taking risk which may terminate their account, then there must be some lucrative reason to do so. Google+ terms clearly states that one can not run discount, offers like promotional activities on Google+ page but may share an outside link of certain website for that purpose. These fake Google+ page creators may share some affiliate links or even non-reliable links on those pages and try to monetize those links. That’s why, if you are sharing a business page on Google+ or viewing certain business page, first of all try to find the ‘verified page’ tick mark on that page. If it is not there, then go to the official website of the business and see if any Google+ page link is added over there. Beware of fake Google+ page and fake updates till Google takes certain action against it.